A few weeks ago I had the opportunity to attend high tea at Denver's Brown Palace Hotel. This daily affair is steeped in tradition (excuse the pun) and a wonderful way to spend a nice afternoon. If you’re planning to attend, here are some things you may want to know. Reservations are typically recommended, although you can likely get in without them, particularly on a weekday. On weekends the lobby area, which includes a gorgeous atrium and a piano player, are filled with bridal luncheons and other special events. Check in with the host, then take your seat at one of the tables. Enjoy the music – think piano renditions of the Beatles Imagine, for example – as your server takes your order. There are two options: One includes tea and a variety of wonderful small bites; the other also includes a glass of champagne. There is also children’s pricing available. Expect wonderful scones with Devonshire cream – shipped directly from England – tea sandwiches with ingredients such as cheese and cucumber, and a variety of desserts such as chocolate cake, truffles, and cookies. It’s a beautiful place with beautiful food. Take the time to enjoy it. The tea list here is two pages long and includes everything from classics such as Earl Grey and English Breakfast to more surprising options such as Pomegranate Green Tea, Vanilla Rooibos, and Black Currant. All of the teas are served in fine China perfect for sipping. Expect women in fancy hats, bridal luncheons, and businessmen working on laptops – the lobby courts all kinds. I went with my 3-year-old and my 7-month-old and was treated wonderfully. That said, be ready to watch your children closely if you take them: My 3-year-old tried to perform a science experiment with all the little canisters and dishes; and my 7-month-old snuck a sugar cube when I wasn’t looking. It’s definitely a hands-on experience. Any place that greets you at the registration desk with a complimentary glass of champagne is off to a good start in my book, and this centrally located hotel with a storied history in Denver continued to impress throughout our stay. 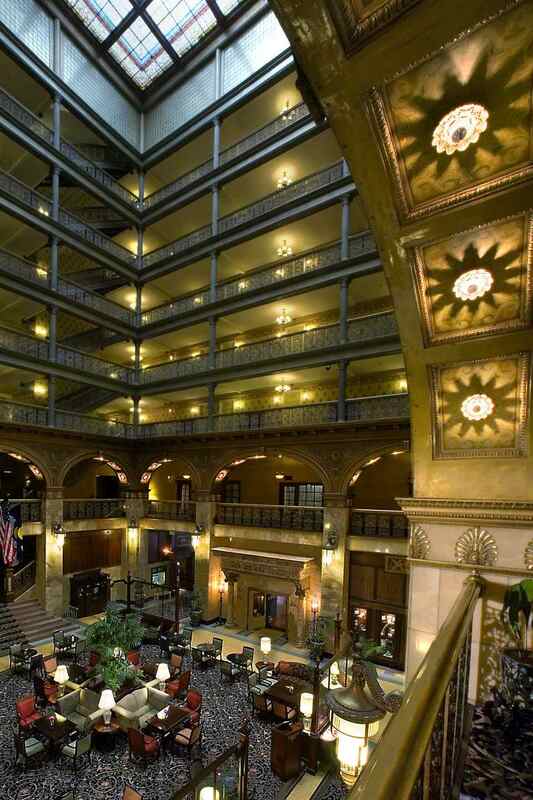 The Brown Palace opened in 1892 and has hosted every president since Theodore Roosevelt (with the exception of Calvin Coolidge), the Beatles and soldiers of the 10th Mountain Division, who tried rappelling from the balconies during their World War II-era visit. It's rumored a tunnel once connected the hotel to a gambling and prostitution house across the street. You can learn about the history of the hotel during tours on Wednesdays and Saturdays (free for guests; $10 for visitors, which is donated to local charities). Our room was modern and comfortable, and the on-site restaurants, charming afternoon tea, fitness center, spa, and flower shop made for convenient wandering. The impressive 16th Street Mall is just steps away. Weekend packages start at $135. Denver is a bustling, interesting, vibrant big city with a fabulous emphasis on art, culture, music, and food. Stroll the fantastic 16th Street shopping area or take a hike in the nearby mountains. Drive out to Red Rocks for a picnic or enjoy a delicious breakfast at Snooze. No matter what you’re looking for in Denver, you can find it. It’s also a surprisingly affordable town, and airfare from other major cities is typically reasonable. It is quickly becoming one of my favorite cities because of the number of attractions it offers as well as the overall vibe.